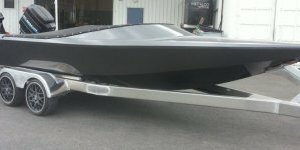 GFAB produces solid and robust alloy Jetboat and Skiboat hulls that will withstand the test of time. 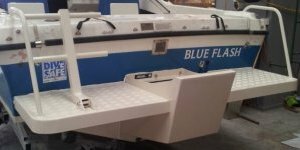 These are constructed using top quality 5083 marine grade aluminium and no measure is spared to ensure you drive away with the boat of your dreams being towed behind. The team here at GFAB have a history of designing and building alloy fishing and jet boats for a number of years. Having produced over 100 boats the GFAB team have the skills, experience and knowledge to make your next project a success. GFAB also design and construct custom alloy modifications for existing boats. Hardtops, rocket launchers, Minkota mounts and fuel tanks are just a few of the modifications we have recently undertaken. 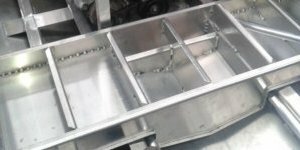 Contact us now to talk about the next alloy Jetboat or skiboat you have in mind. GFAB offers a range of aluminium jetboats from 3 meters to 5 meters. We can also work with you to design and produce anything outside of these sizes to suit your exact requirements. GFAB currently custom builds 5800 Skiboats. If you are looking for something larger or smaller than a 5800, we can work with you to design and produce the ideal hull to suit your needs. We have a solid reputation for creating one off, custom aluminium modifications for many different types of boats. These modifications range from outboard pods, boarding platforms, rails, live bait tanks and bimini tops to name a few. 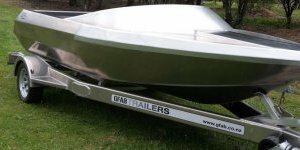 GFAB produces custom alloy fuel tanks to suit your boat, motorhome, trailer or anything else you might require a fuel tank for.